The Story of Compassion is a two day retreat exploring our experience and practice of compassion. Sponsored by The Hearth, space is limited to 10 people up on the Greensprings (30 minutes outside of Ashland, Oregon) with private rooms, simple meals, silence, meditation, and exercises in compassionate living. Program, food, and housing is $360. This is an inter-religious (including no religion) retreat. All the info is below. Hope you can join us. Email me if you are interested. On April 11-13, The Hearth will hold a 2 day retreat on the 500 wooded acres of the Oregon Extension on the Greensprings (30 minutes outside of Ashland, Oregon) with private rooms, simple meals, silence, and exercises that invite you to explore your lifestory in a way that helps you deepen your capacity for compassionate living. Program, food, and housing is $360. This retreat will involve a series of narrative, reflective, and contemplative exercises. All the info is below. Space is limited. Hope you can join us. Email Mark at yaconelli@msn.com if you are interested. The Story of Compassion is for people who want to grow in their understanding, experience, and practice of compassion. Based on research at the Center for Engaged Compassion at Claremont Lincoln University, the retreat is designed to be transformative, but simultaneously pragmatic in teaching concrete skills–learnable processes, practices, and perspectives for individuals, social justice activists, parents, spouses, organizational leaders, and anyone else who wants to grow and deepen their experience of engaged compassion. This is an inter-religious (including non-religious, agnostic) program. *Discover stories that free their capacity to heal suffering in self, others, and institutions. 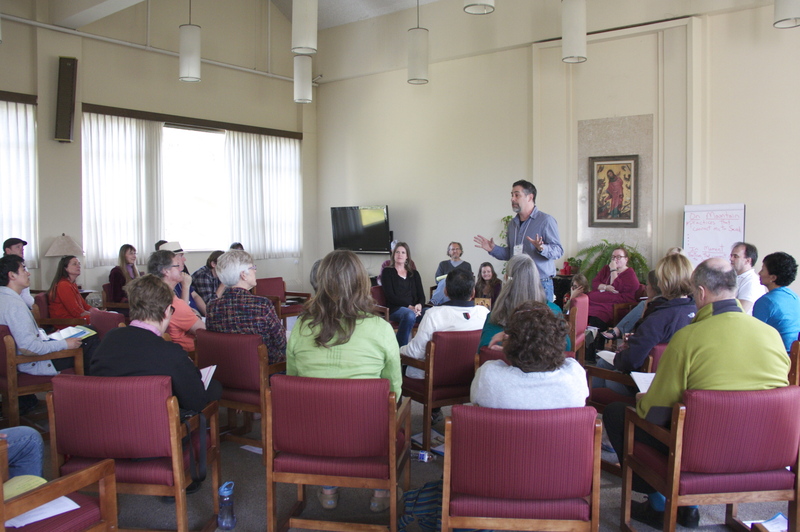 The retreat will be led by author, retreat leader, and Co-Founder of the Center for Engaged Compassion Mark Yaconelli. Mark is the founder and director of The Hearth: Real Stories by Regular Folks, a community-building project produced in Ashland, Oregon, in which a diverse group of community members tell true stories around a particular theme. When: The retreat begins 5pm, Friday, April 11th and ends at 12pm, Sunday, April 13th. Housing: Private rooms double occupancy cabin with woodstove, bathroom, and kitchen. Food: Friday dinner, Saturday lunch, and Saturday dinner are included in the price. Participants will be responsible for their own breakfasts (full kitchen is provided). Coffee and tea will be available. Cost: Price is $360 per person and includes two nights housing, meals listed above, retreat program and one private session of one-on-one consultation. There is a sliding scale available as well as opportunities to help work at the retreat to offset costs. Email Mark for more information (see below). To Register: Email Mark Yaconelli at yaconelli@msn.com.